William Bond featured regularly in the Chudleigh records for nearly 47 years but his place of death and burial have until now remained a mystery – why should that have been the case? Mr. Bond filled the important office of this school which became one of the best of the description in the county. He was a clever and practical arithmetician and a good astronomer for his day, he had a most pleasing method of imparting knowledge. His mild and amiable temper greatly endeared him to his numerous pupils, many of whom were in later life distinguished for their abilities in their various callings, ever recollecting their youthful sojourn here with delight. She also commented that he was responsible for many fine buildings in the town. As a schoolmaster this comment seemed a little unusual until making the connection that he was one of the Great Fire Committee members of 1807 that was responsible for ensuring the proper rebuilding of many properties damaged in that fire. So it seems responsible as a committee member rather than as an individual. At the time of the fire he was 50 years of age. So what is known of him? He was born in nearby Kenton and baptised there on 19 January 1757, the son of William and Martha Bond. He appears to have had two younger brothers, Walter (baptised 31 January 1763) and James (baptised 26 February 1766) but there is no information to hand concerning his parents other than they married at Kenton. William Bond's father must have been a man of some substance in order to have provided his son with an education sufficient for him to become a teacher and a man of means. William's father had married Martha Broad at Kenton on 22 September 1755. She had been baptised there on 18 February 1731. William Bond's sister-in-law Rebecca (nee Yarde) married Walter Broad at Chudleigh (1807), he was originally of Kenton and William Bond's cousin. From his birth, records are silent until 25 years later when on 28th July 1783 he was appointed to replace Mr Henry Hooper as the parish schoolmaster. Henry Hooper was mentioned in parish records two years earlier when he requested permission to teach the parish children at his own house rather than at the rooms at the church house. In the following year he is named in a parish apprenticeship indenture when there was also a connection with Mr Hugh Yarde's house. He also ran a fee-paying school that was highly thought of that admitted boarders and was run from his house. When Mr Bond took over as parish schoolmaster he also took over Mr Hooper's private school. Advertisements regarding this school, titled either Chudleigh School or Chudleigh Academy appear almost annually in the EFP from 1783 to 1815, a thirty-two year period. Quite where it was located in the latter 1700s is not known although from parish apprenticeship indentures we know that Mr Bond was associated with the Whiteway estate in 1784 and the Filleigh estate in 1795. Was the school run from either of those places? If so then the properties in those times were likely very different to what is seen today. In 1783 when appointed master to the parish school he was also at about the same time appointed parish clerk, a position he held into the latter 1820s. The churchwardens' accounts for 1798/99 show that he received a payment of 14s 2d being his salary for teaching the parish children and his bill for books. The parish school was of early foundation and was originally held in the two upper chambers of the church house which once stood alongside Vicarage Lane. Although we know he had use of the church house he taught the boys at his home. This is borne out by a review of Chudleigh parish charities undertaken in 1822 and published the following year. They commented there is a house called the Church house, the upper part of which is used by the schoolmaster...no rent is paid...the schoolmaster used formerly to keep his school in that portion of the house which he occupies, but now keeps it in his own house. On reviewing the arrangements of the Eastchurch Charity established by Rev Richard Eastchurch's will dated 14 March 1692 they said the rent arising from Catshole is paid to the church wardens and paid over by them to the schoolmaster whose salary is increased to 10s by the parishioners. For this emolument, and use of a room which forms part of the Church house, he undertakes to instruct reading, writing and arithmetic to nine poor children of the parish. In reality he uses the room at the Church house as a lumber room and teaches the pupils at his house. In consequence of his bad state of health and the establishment of a school on the Madras system the number of scholars is seldom complete, but we are told no applications are refused. He resigned from this post in 1827 aged 70 years. His replacement was Mr George Flood who in addition to schooling a small number of parish children ran what was styled a commercial school for day and boarding pupils from his home in Fore Street. He died in June 1858 an event which signalled the end of his commercial school and of course the teaching of parish children. From then on parish children attended the new National School in Fore Street. With the Church House redundant and in a dilapidated state, permission was granted from the Charity Commissioners to sell it. With the sale complete the purchaser had it demolished in August 1859. ...the system of the school comprises with the Classics, the Branches, viz Penmanship, Arithmetic, Book-keeping, Mensuration, Navigation, Geography and Astronomy, the use of the Globes and the Mathematical Sciences in general, also French. Drawing, Dancing etc. ...young gentlemen are admitted under very moderate terms, genteelly accommodated and qualified for the university, the Navy, the Army or Trade. English, Writing, Acompts and the various Branches of the Mathematics are in his (Mr Bond) own line of instruction and Mr B keeps an assistant purposely for the Classical Department a gentleman of Collegiate Education and of approved abilities. Proper masters also attend to teach French, Dancing etc. No situation can be more healthy, the house is commodious, and play-ground extensive, and that the school meets with general approbation, may be inferred from its great success, during many years. It may be that his home (now Swanston House) did suffer some damage in the fire causing him to temporarily relocate. The one piece of evidence pointing to this is that innkeeper John Weston when removing to a large house at the West End (about the Western House site) in the Land Tax records for 1808 is shown as occupying late Bond's House. The other explanation might be that the newspaper item above from 1803 related to his move to the West End location and the item from 1806 marked his move across the road to the house adjacent to the church house. A plumber being lately employed to repair the pipe of a pump belonging to Mr BOND, of Chudleigh, found the carbonite gas from the well (which had not been opened since the dreadful fire at that place in 1807), so powerful, that he would not venture in. Two miners, who had been at work in the neighbourhood, coming by at that instant, one of them volunteered to do down, (a ladder 19 feet in length had previously been fixed), but before he had descended half that depth, fell off and sunk to the bottom, about forty feet. His companion followed, and shared the same fate. A joiner, named Nosworthy, caused a rope to be fixed round his waist and was let down, but on his senses going off, the noose of the rope slipped, and he was likewise precipitated to the bottom. Another man had the rope fastened between his legs and round his waist, but had not proceeded ten feet before his senses left him, and he was drawn up nearly lifeless. After this they procured a grappling iron, by which the three bodies were extricated from the well, but the life of each was extinct. If this event occurred at Swanston House as supposed then the location of the well (today filled in) is located beneath the house called The Orangery. In June 1814 a commodious residence with about an acre and a half of pleasure ground and walled garden was advertised for sale by local attorney, Mr Dolling. Although the house is not named it is assumed that the property was what became Swanston House from various clues in the advertisement. The particulars say that the house was built a few years since, that it was then of two-storeys (and attic), standing alone within easy ascent of the road, near the west end of the town and commanding extensive views of the fine countryside. Mr Bond begs thus publicly to contradict a prevailing report, that he is about to relinquish his school, and positively to assure his friends, that he has no such intention. The school will therefore re-open on the twenty-fourth inst. And in which young gentlemen will continue to be instructed in every part of Commercial Learning, as well as in the higher branches of Mathematics, &c. The same anxious attention hitherto bestowed on his Pupils will now be shared by a confined number; and as a few only in future will be admitted, these must obviously derive greater advantage. At that point he was 59 years of age and the fact of the house being advertised may have started a rumour that the school was to close. Four years passed and the house was advertised again. The EFP newspaper of 10 June 1819 advertises what seems to be the same house as the description of the property was very similar. This time the contact was Mr Bond. It has not been established whether the house was sold and whether Mr Bond moved out. Even if it was sold he may have remained as tenant. The Charity Commissioner report of 1823 reviewed the parish school at which point nine pupils were in attendance. Their report commented: In consequence, however, of his [the schoolmaster's] bad state of health ...the number of scholars is seldom complete. Four more years were to pass until Mr Bond resigned from teaching the parish children at age 70. Quite when his private school ended has not been established but would likely have been about the same date. From the land Tax Return he was occupying the house of Mr Walter Broad in 1829. As stated Walter was his cousin and both had married daughters of Hugh Yarde. Their brother, Henry Yarde at the 1841 census date was living at what was later Fairlea (now Kingsley House) and so it is assumed that it was at this location William Bond was living in 1829 presumably having moved from Swanston House when he gave up schooling two years earlier. This property is mentioned in Dorothea Yarde's will and duly passed to her unmarried daughter Frances Bond. Eleven years after arriving in Chudleigh he had married Dorothea, daughter of Hugh Yarde the parish apothecary and surgeon. The marriage took place by license at the parish church on 10 June 1794 and witnessed by her father and Amelia Whitty Hallett, a Yarde relation. Not long afterward their first child, Walter Yarde Bond was born (6 April 1795), followed by Frances (born 25 June 1797) and Charles (born 22 April 1799). The three children were all baptised at Chudleigh. Walter married at St Sidwell's Church, Exeter on 3 August 1827 to Betsy Heaward originally of nearby Chudleigh Knighton. Frances remained a spinster and was buried in Chudleigh in 1858 having died in Exeter at the home of her niece and her husband. However, on the 1841 census she was in Chudleigh living adjacent to Mary Jones in a house approximately where the hardware shop is today. They were contemporaries in that they differed in age by only four years. Charles at the time of his mother's death in 1839 was a professional man aged 40. He has not been traced on the 1841 census but ten years later he was living at 4 Albans Cottage, Southampton Street, Camberwell, Surrey with his wife Mary Ann. He was then described as an annuitant. In 1861 he and his wife were in Kensington (Queens Road) where he was then described as a schoolmaster. He was similarly described in the 1871 and 1881 censuses and on both occasions still residing in Queens Road. His wife died in Kensington in 1873 aged 73 and he died in 1884. They had no children. His death was registered in Newton Abbot District and so it seems he returned to this area sometime following the 1881 census. Although he was baptised in Chudleigh on each of the census returns he gave his birthplace as Kenton. William's elder son, Walter Yarde Bond appears in the 1823 Chudleigh directory as a surgeon (in reality a veterinary surgeon) but had moved to Highweek shortly afterward. Initially living in Highweek Road and following his wife's early death in 1851 moved not long afterward to 1 Brunswick Place where he remained until his death in 1869 aged 74. He was interred in Highweek Churchyard on 30 August. There were two daughters of the marriage, Rosa (born 1829) and Betsey (born 1832). As already stated William Bond's marriage (by license) at Chudleigh took place on 10 June 1794 to Dorothea Yarde. She was the fourth child of Hugh Yarde and Rebecca (nee Westcott). Born on 8 November 1767 she was subsequently baptised at the parish church on 29 November. She died on 23 June 1839 aged 72 and is buried in the churchyard. Her will was proved the following year by her spinster daughter Frances. The will confirms that she held property in Fore Street (likely what is Kingsley House today and previously Fairlea) that at the time of her death was in the occupation of her sister Rebecca, her husband Walter Broad (both have a memorial in the choir vestry, although hidden by the organ pipes) and Major Henry Yarde (her younger brother) and his second wife Ann whom he had married by license at Chudleigh in 1824. As previously stated the Broad family were of Kenton and apparently of some standing. At his death in Chudleigh Walter Broad was described as 'Gentleman'. Dorothea Bond's grave close to the north east corner of the churchyard is marked by a stone erected in her memory by her daughter Frances. The stone confirms she was the widow of William Bond and the daughter of Hugh Yarde. What is perhaps strange is that the stone does not mention the death date of her husband, nor is there an entry for him in the burial register. This points to the fact that her husband was interred elsewhere, but the mystery until now was where. The burial register for Highweek (his son's home) does not include his name either. Might he perhaps have been buried at Kenton, but why? He was also listed for Chudleigh (Exminster Hundred) in the Devon Freeholders Book for 1799 (giving eligibility to serve on juries, that in those days consisted of members such as farmers, tradesmen, craftsmen and other substantial householders) but he did not appear in that for 1783, the previous year for which a book survives. 1785 'Deadman's Scull' (scull is a type of oar, should this in fact be skull? N.B. this was a field name and existed as early as 1730). In that year he was the occupier with Henry Hooper the proprietor. Henry Hooper was listed as proprietor and occupier of that land in 1780/84. Bond became proprietor from 1796. 1797 'late Cox's Brownslands'; 'late Adams house and orchard' and 'orchard part late Marshalls'. He was the proprietor in each case and occupier of 'late Adams'. 1807 'Brownslands and orchard'; 'late Adams house'; 'part Marshalls' and 'Deadman's Scull'. 1810 'Cox's Brownslands'; 'late Drews'/'Down's House and orchard'; Adams house and orchard' and 'part Palmers House'. 1826 'houses and gardens' proprietor and occupier (also with a John Wall); Branchlands (occupied by William Tuckett) and 'house' occupied by Major Yarde. Note 'Branchlands' (a corruption of 'Brownslands' perhaps?). As stated, this 'Branchlands/Brownslands estate' also appears along with his name in three parish apprenticeship indentures dated 1800, 1812 and 1822. (There was also a Broomes Land Gate (Old Way vicinity), could this be another corruption of the same place name? It seems not as in 1598 there is reference to 'Browne's Lands'.) The name Brownslands also appears in various parish apprenticeships, the earliest being 1773. From these various entries it appears that William Bond's land holdings increased following the marriage to Dorothea Yarde, that family long established in Chudleigh having their family roots at Newton Abbot. In 1831 his name is not listed in the Land Tax return but that of his wife is. She is rated for house occupied by H Yard.. This would presumably be the property in Fore Street, that eight years later is mentioned in her will. The 1838 Tithe Apportionment List has Fanny Bond (Frances) the owner of a property in which Henry Yarde was occupier. This would have been the property previously held by her mother Dorothea. Henry Yarde and his wife were at that same location in Fore Street at the time of the 1841 census. From all the evidence it seemed that William Bond lived no later than 1831/32. Evidence supporting the latter year is that his wife Dorothea is mentioned as a widow in her elder brother's will that was dated September 1832. It is a nuisance that the church warden accounts for the period 1826–1838 are missing as are the Overseers records for 1818–1835. Both sets would be most useful as they would no doubt have referred to him. Parish minutes and accounts also end in 1827. And so the final question – why, though as a man of some substance and who was heavily involved in the affairs of the town, was there no memorial to him placed inside the church nor why is he not buried in the churchyard? The assumption must be that he died elsewhere and was buried at that place rather than being brought back to Chudleigh. A chance review of the Kenton burial register has provided an answer although questions still remain. On 5 November 1829 the entry shows William Bond of Chudleigh, aged 72 years. What is also of interest is that the entry also contains the entry by Coroners Warrant. This might suggest that the death was unexpected. Although aged 72 years he was presumably in reasonable health for his age and the initial presumption was that the death was unexpected whilst on a visit to Kenton. (Specifically a coroner's warrant is an authority for a body to be buried or to be moved). On the 31st of October, at Chudleigh, Mr. Wm. Bond, aged 73 years, universally regretted by all who had the happiness of knowing him, not less for the amiable qualities of his mind, than the good sense and integrity that characterized him through life. So, his death occurred at Chudleigh and he was interred at Kenton. Was there a wish to be buried with his parents and if so why was Dorothea not buried with him ten years later? It seems then that the warrant was nothing sinister after all and was merely the required permission to move his body from the place of death to a different resting place. As he was a widower when he married (by license) to Dorothea who was ten years his younger and seems that the reason William was removed to Kenton was to be buried in the Bond family grave (that contained his parents and first-born son William who had died in 1798 aged 11 years). Quite why Dorothea was not buried with him is a question that will likely never be answered. William was born in 1756 and his first marriage took place at Mamhead to Ann Bussell on 4 August 1783. She was the daughter of Edward and Priscilla Bussell and baptised at Mamhead on 5 August 1764. They had two children, William born 24 August 1786 and Ann 4 September . William died young and Ann went on to marry at Chudleigh. Her marriage, by license to Exeter ironmonger, Mr Thomas Hill took place at Chudleigh on 6 July 1812, it was his second marriage and sadly he died aged 40 after only five years of marriage to Ann. His business premises and their home was located in High Street, Exeter. 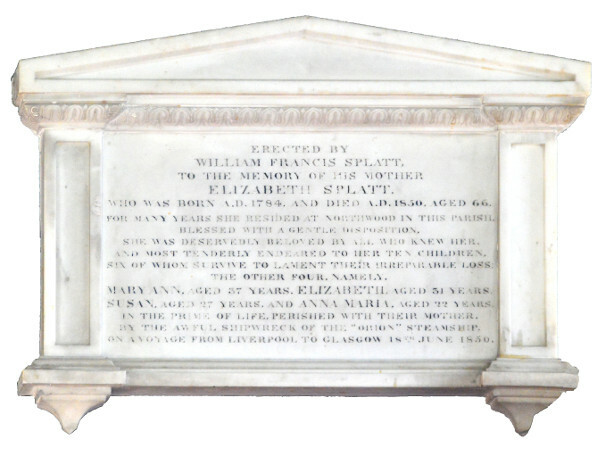 William's first wife Ann died on 29 March 1793 and was interred at Mamhead churchyard on 5 April 1793. In Memory of Ann Bond wife of William Bond of Chudleigh and daughter of Edward Bufsell of this Parifh who died on the 29th Day of March 1793 in the 29th Year of her Age. An affectionate wife, a very tender Mother and truly amiable for her conduct through the short period of her life. The adjacent stone is to her married sister, Mary Turner who died at Exeter on 9 March 1819 aged 53 years. The stone says she was the daughter of Edward and Priscilla Bussell. She was baptised at Mamhead on 9 November 1766 and married at St Thomas Church, Exeter on 17 March 1788 to John Turner. In Kenton Churchyard are two existing Bond gravestones, located beside each other they are just to the west of the church tower. The most relevant being to William Bond's father who died on 10 March 1797 aged 67 years (he was baptised Mamhead 26 July 1729) and more importantly his grandson William Bond (of Chudleigh) who died on 4 May 1798 aged 11 years. The adjacent stone was to James Bond, our William Bond's brother who died aged 43 on 8 November 1811. So finally, after some quite in depth research the story of William Bond has been concluded. Born 1757 in Kenton, married firstly at Mamhead, moved to Chudleigh where two children were born, lost his wife at a young age and his son at age 11, he remarried at Chudleigh in 1794. The marriage produced three children who all survived childhood but apparently producing no male offspring. After a life of teaching and involvement in parish affairs he died in 1829 aged 72 years and was buried at Kenton. His second wife Dorothea outlived him by ten years and was interred at Chudleigh. Renowned 19th Century British falconer who helped rekindle interest in the ancient art of falconry through his teaching of others, his co-authoring with F.H. Salvin of the classic work 'Falconry in the British Isles' and his exquisite paintings of hawking and raptor subjects. Given with respect by his sporting compatriots in North America. Andrew Cholwich of Cholwich Town had become a man of means by the close of the 16th century; his annual rents from all properties in Plymouth and the South Hams being given as £27 6s 8d in 1605, a considearable sum in those days. Marrying Grace Rich increased his wealth and standing substantially, bringing with it property at Blackawton, particularly the large estate named Oldstone. Andrew lived until 1611 and Grace died in 1615. After Andrew's death, their son William continued at Cholwich Town with his wife Frances whom he had married about 1608. They had at least two sons, the first of which was Andrew, baptised at Blackawton Church on 10 March 1610. Andrew Cholwich had come to Chudleigh by the 1620s probably in connection with the woollen trade. Shortly after arrival he married Joan Coysh of Chudleigh at the parish church. A marriage settlement of 1633 suggests Andrew acquired Biddlecombe. Other Chudleigh property connected with the family through the next 200 years was Great Hill and adjacent fields in the old way (Oldway), Heathfield, Henridge Orchard (New Exeter Street), Little Churchills on the Exeter Road and Lower Ranscombe in the north of the parish adjacent to the Whiteway estate. They may also have had an interest in the Oxencombe estate. A surviving deed of 1650 also reveals that Andrew Cholwich purchased three fields close to what is now Parkway Mill from Chudleigh tanner John Soper. Andrew and Joan had four sons, all baptised at Chudleigh: Andrew (1634), John (1638), William (1642) and Thomas (1644). Andrew Jr. attended Exeter College, Oxford and after marriage in 1665 lived in Heavitree, Exeter. John became a merchant, also moving to Exeter later buying the substantial Farringdon House which remained in Cholwich ownership through two further generations. William died in infancy and Thomas, remaining unmarried also intitially moved to Exeter; he was buried in the churchyard on 16 September 1727. 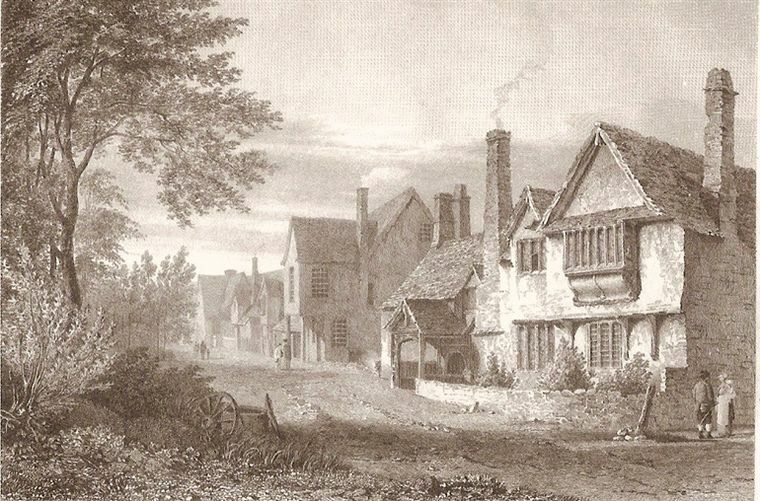 It was this Thomas whose mansion house in Chudleigh – the so-called House of Cholwich, said to have been on, or close to, the site where the town hall now stands – was purported to have played host to William, Prince of Orange when he stayed overnight in Chudleigh on 7 November 1688 en-route to Exeter, having come ashore at Brixham from France with his army two days earlier. One of the Six Views of Chudleigh engravings by Hendrik de Cort (c1785). Andrew Sr. has a ledger stone within the parish church confirming his death on 22 September 1667 and describing him as Gentleman of Chudleigh. Joan has separate floor stone; she died on 11 August 1702. Thomas Cholwich, his mother Joan and brother John are named as plaintiffs in a document of 1671 concerning property at Chudleigh. 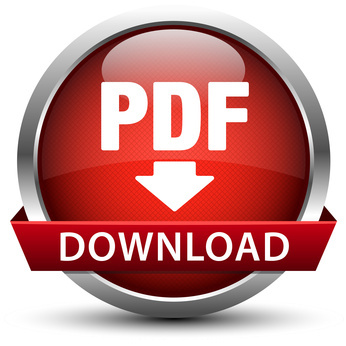 The document is entitled Cholwich v Wolcombe and the defendant named as John Wolcombe. It is uncertain which property this concerned but we know that the Wolcombes also held substaintial estates in the parish, including the meadow on which Culver House was later built. he death of Thomas Cholwich at Chudleigh in 1727 marked the end of Cholwich presence here, although their quite considerable estates remained in family ownership as absentee landlords until all was sold off following the death of grandson John Burridge Cholwich in 1835. Charles John Collings was a noted watercolour artist. He left Chudleigh for London in the 1890s and emigrated to Canada in 1910, dying there in 1931. Brigadier William Edmond Hunt Condon OBE, father-in-law to Maj. Gen. Roy Urquhart, lived at Hurst View, Chudleigh 1951–1958. Author of The Frontier Force Rifles (1953) and The Frontier Force Regiment (1963). Miss Mary Jones was the author of The History of Chudleigh published in 1852. A very useful work that today forms the basis to any local history research for the parish. A revised and corrected edition was to follow in 1875. Her name is well known amongst local historians although detail of her own life is not particularly easy to come by. It is perhaps a good starting point to recall what Anthony Crockett said about her in the introduction to his book The Great Fire of Chudleigh published in 1994. Crockett had retired to Chudleigh and lived at 'The Retreat' in Old Exeter Street until his death a few years ago and during his time in the town published three titles on Chudleigh history. His work on parish history is respected in the same way as that of Mary Jones. Mary Jones was born in the year 1797 at Voysey's Cottage near the turnpike gate at Chudleigh Knighton. The cottage no longer exists and is believed to have stood in the vicinity of what is now Buckingham Orchard. She was the daughter of John Jones, a ball-clay merchant, and his wife, Mary Pike, a member of a large and well-to-do family with interests in shipping, farming and a number of trades. In his younger days her father had been to sea and had progressed from being a Master of a trading vessel to part-owner and then sole-owner of various ships connected with the ball-clay business. These ships worked out of Teignmouth, their cargoes coming mainly from the clayworks in the Bovey Tracey and Kingsteignton areas. After the death of her father, Mary appears to have taken over his business, one brother being in the Navy the other in the Church. According to one of her obituaries this led her into great activity, and in those days, when travelling was far less expeditious, and a great deal more dangerous than now, she in the company of the late Mrs Tucker of Rydon, Kingsteignton, used to travel through the country, even to the remote county of Durham. She was born into a Presbyterian household and seems to have moved about within various dissenting faiths, at that time at the height of their popularity. She owned a plot of ground in Clifford Street (then Mill Lane) on which she personally paid for the erection of a Wesleyan Methodist Chapel and was also closely involved in the setting up of the Baptist Chapel and schools in the latter 1840s. Towards the maintenance of the former she gave much of her income at on many occasions entertained the circuit and travelling ministers. In her early years she is also said to have been involved in a school and perhaps the advertisement for a Boarding School for Young Ladies dated 1 January 1818 In the EFP related to that venture. The advertisement gives the names of Miss Jones and Miss Isaac. From an early age she was an advocate of total abstinence and it was said in the WE obituary that she might be the mother of the teetotal movement in this town. Advocating total abstinence she was always ready to give pecuniary assistance to that movement. She was very charitable and ever ready to enter into cases of necessity and it was not an uncommon expression with her that she had given away the last penny she had. She had a remarkable and distinct recollection of early circumstances in the parish and seemed never at a loss to give information on subjects forgotten by many of the inhabitants. No doubt with encouragement it was this knowledge that formed the basis of what was to become published as The History of Chudleigh . Mary Jones never married and on her death on 26 April 1883 aged 86 years, her family became extinct. She had two brothers: the Rev John Pike Jones, formerly a curate at North Bovey, a distinguished antiquarian, and Capt. William Jones, RN, both of whom never married. Her funeral took place at what was then the new Chudleigh cemetery on 2 May 1883 and was well attended. Almost every shop in the town along which the funeral passed was partially closed, the service taking place at the chapel that she had founded in 1837. She was in Chudleigh at the time of the 1841 census and was running her china business from premises at The Square, in the vicinity of what is the hardware shop today. She was still at that location ten years later. Within the next ten years she had moved to the other end of the town and was living at what today is numbered as 43 Fore Street. She was present at that location on the 1861–1881 censuses and it is presumed that it was there she passed away in 1883. These reveal that she had retired from her china business in her mid-60s and by 1881 was simply described as householder. Turning to her written history its full title was The History of Chudleigh in the County of Devon and the Surrounding Scenery, Seats, Families, Etc , published at Exeter in 1852 and comprising 114 pages. In the preface she wrote In presenting the following pages to the public, the writer has been actuated by no other motive than that of supplying the most correct information in her power with respect to this ancient town which, as yet, is without any continuous records of past events. She closed that preface by adding that wherever she has failed in explaining, or fallen short in any way of her object, it has not been from the want of labour, but inability; and with this conviction, she hopes to meet with the indulgence of both reader and critic. She also presented her warm acknowledgement to those few friends who had rendered her valuable assistance and information and who kindly undertook revising the proof sheets in their passage through the press. Finding it was out of print, and having expended some time and trouble in collecting materials for it, I was strongly urged to issue a second edition. The work has been considerably enlarged with such new matter as would add to its improvement and bring it down to the present time. I have to acknowledge with many thanks the kind assistance of Mr. C. Langley in supplying valuable information. I should wish also to mention Mr. W.B. Scott, who has afforded me the use of his library. To Mr. W.W. Snell I am greatly indebted for his unwearied and disinterested kindness in revising and rearranging the work, as well as examining and correcting proofs. Underneath lie the remains of the Reverend John Pike JONES M.A, Vicar of Alton in Staffordshire, and Rector of Butterleigh in Devonshire, who for many years took active part in various Public matters connected with the county. He died in Cheadle, (Staffs), 4 Feb 1857, aged 64 years. For the Diffusion of Useful Knowledge, November 25th 1839 (1840). The first entry I can find under the signature of John Jones (he was thus entered at Pembroke College) is of a baptism performed on June 19th, 1814. The last is on July 10th, 1831, comprising a period of a little more than 17 years, during which period, he was, I believe, in sole charge of this parish. I have heard that he then removed with his sister to Chudleigh or its neighbourhood. He must have been a very clever man, and what was unusual in those days, a great Radical. He made several stirring political speeches in Exeter, two, at least, of which, delivered in 1821 and 1828, have been printed. He was presented in 1819 to two livings at once, one in the Diocese of Peterborough, and the other in the Diocese of Lincoln, but the then Bishop of Exeter (George Pelham) refused to countersign his testimonials. The matter was unsuccessfully raised for Jones in the House of Lords. Rev Jones died suddenly whilst going up the steps of the Mechanics' Institute at Cheadle, Staffordshire, on 4th February 1857, and was interred there. Ernest C. Pulbrook – author and editor – published works The English Countryside 120pp (1915) and English Country Life and Work (1922). He is buried in Chudleigh Cemetery. The surname has been variously spelled but for continuity throughout the spelling as above will be used, this variant as used in their lineage in Simon Burke's Extinct and Dormant Peerages and Baronetcies (1838). The Devon Subsidy Roll of 1524 does not include a Pynsent name (or variant) within the list for Chudleigh parish and it may be that the name came either from Hennock or Bovey Tracey at which there were persons of that name from an early date. The Chudleigh parish church records commenced in 1559 at which time one of the two young men (altar) wardens at the church was a Robert Pynson. The earliest date in the baptism register for a Pynsent is that for Nicholas, the son of Richard baptised on 3 January 1558. Nothing is known of this Richard Pynsent other than one further entry where his son Philip was baptised on 1 May 1563. The name Thomas Pynsent also appears when his daughter Anne was baptised on 15 April 1559. We first meet with a John Pynsent in the Chudleigh Baptism Register on 11 March 1564 when a daughter (Gyllinghe) was baptised. The 1581 Subsidy Roll contains the name John Pinsent who is assumed to be the same person as within the baptism register. On 15 May 1571 a John Pynsent is baptised, noted as the son of John Pynsent. The Overseers of the Poor records begin in 1600 and in that year we find the four overseers named as Thomas Huntte, gent, John Pynsent, Christopher Austen and John Cottell. This John Pynsent is named again in the records of the parish in 1613 when he was renting the markets. 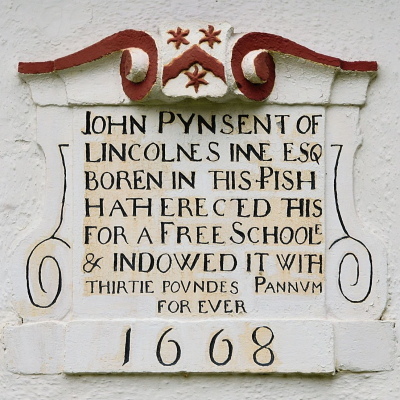 It is more than likely that this is the John Pynsent that was baptised in 1571 and the father of the John Pynsent who established the grammar school in the town. In 1640 a John Pynsent, a yeoman is listed in an agreement as one of the four men in respect of work required to the pot water leat. From Burke (1838) we know that John Pynsent of Chudleigh was indeed the father of John (his second son) and also of Humphrey (eldest son) of whom more follows. Humphrey Pynsent features in the parish records a number of times, mainly in connection with the rent of the markets and through the twenty-two year period 1642–1664. He appears in the baptism register (10 March 1599) and was stated as the son of John Pinsent. He seems to have been closely involved in secular matters in the town and he may well have been a church warden but the accounts for this period have not survived. He was described as farmer of the markets in 1642 and in 1649 gave up the markets to John Bennett of Harcombe. The following year he reacquired them again. In 1652 he repurchased the rights to the tolls and held those rights until 1656. He had acquired the rights once again in the year 1677 but as that is the last year of the account book we do not know how long he held them for. The church warden accounts begin in 1679 but these have not been perused for subsequent details. Humphrey Pynsent was mentioned in the records of 1660 as one of those paying the church rate and in 1664 he was one of the four named overseers of the poor. In the Poll Tax Assessment of 1 October 1660 he is included. He died about 1678 and his will he was styled Gentleman of Chudleigh. His will was proved on 6 December 1680. From Burke (1838) it suggests he was not married and that he left no issue at his death. A few years before his death in 1674 we have a copy of the Chudleigh Hearth Tax return. In it we find Hump Prisent (sic) with seven hearths, and so quite a substantial dwelling (most on the return only have one or two hearths). Additionally there is a Joren (sic) Pensent with one hearth. Returning to John Pynsent of Chudleigh (born 1571) we know that he had married Joan, daughter of William Downman. Burke (1838) states the Downman's were of Colhampton, Devon which in fact is probably Cullompton. Their marriage was likely to have taken place about 1595 as their eldest son John was baptised at Chudleigh on 2 September 1598 (this son died pre-1607). Their four other sons were Humphrey (baptised 10 March 1599), John (16 May 1607) William (6 November 1608) and Robert (8 March 1617) and their daughters, Elizabeth, Grace and Eleanor. Of the early years of John Pynsent, the second son, little is known, and of his early education nothing is recorded although we know from the tablet on the front of the Old House (formerly the school that he endowed) that he attended Lincoln's Inn, one of the four Inns of Court in London. It was here that he studied for his career as a lawyer. He married Mary Clifford about 1625, she being the second daughter of Simon Clifford of Boscombe, Wiltshire and Cecily (nee Williamson). Although her father was styled as of Boscombe, Wiltshire this branch of the Clifford family also held Ware Barton in the parish of Kingsteignton and she was baptised at Chudleigh on 26 February 1604. Probably it was as a result of Mary's dowry that John Pynsent became a man of means. By the early 1660s he had a town house at Bartlett's Court, off Fetter Lane, Holborn, London, a country estate at Croydon called Combe, property in Oxfordshire and at Carlton Curlieu, Leicestershire. John and Mary Pynsent had three daughters, Grissell, Elizabeth and Anne, born in the period 1625–1640. His eldest daughter Grissell had married John St Barbe of Broadlands, Romsey (c1645) and had four sons, two of whom died young. The surviving two, John and Edward became the responsibility of John Pynsent on the death of both their father and mother of a sweating sickness in 1658. They are both buried in Romsey Abbey where they have a very grand monument to their memory. The two young St Barbe children were tutored at the Pynsent home by John Rawlet who later became reasonably well known as a poet and preacher (and a signatory on John Pynsent's will). John Pynsent later purchased a baronetcy for the young John who grew up as Sir John St Barbe. John Pynsent died in 1668 and was buried within Croydon Church where a substantial memorial was placed to his memory. Unfortunately this memorial did not survive a serious fire in the 1800s. His death came at the time that the Free Grammar School was about to be established in Chudleigh and his death caused a delay to its opening which occurred in the early 1780s. The school continued for 245 years until its closure in 1913. The building survives today as The Old House still with its foundation plaque bearing date 1668. The following account concerning Major James Rennell is from the pen of Mary Jones written in 1875. Upcott cannot but be regarded with deep interest when it is known to have been the birthplace of that celebrated geographer Major James Rennell, F.R.S. He was born 3 December 1742, and educated at the Free Grammar School. At an early age he is said to have taken a map of the town [see description below] of sufficient merit to attract the notice of the vicar, the Rev. Gilbert Burrington (1722–1785). At the age of fourteen Rennell entered the navy as midshipman and went out to India with Admiral Hyde Parker. He was present at the siege of Pondicherry where be gave proofs of enterprise and ability. At twenty-four, on the suggestion of a friend who possessed considerable interest in the India House, he quitted the navy for the army, and was immediately sent on service to the East Indies, where he served as an officer of engineers. Here he speedily distinguished himself during the sanguinary war which led to the conquest of India. He received many severe wounds, and was favourably noticed by the Government who promoted him to the rank of major, which was the highest rank he ever attained. While thus employed he published A Chart of the Bank and Current of Cape Agulhas , which procured him the lucrative appointment of Surveyor General of Bengal. His second and third publications were The History of the Transactions of the British Nation in Hindostan , and a Description of the Roads in Bengal and Bahar . He soon afterwards published his Bengal Atlas, and an Account of the Ganges and Brahmapootra Rivers . While in India he married one of the daughters of Dr. Thackeray. In 1782 he returned to England, and was unanimously elected a member of the Royal Society. Sometime afterwards he published his celebrated Memoir of a Map of Hindostan , and at a subsequent period assisted Dr. Vincent in his commentary on Arrian's Voyage of Nearchus. He also aided Sir W. Jones in his Oriental Collections and assisted in the formation of the Asiatic Society, to whose publications he contributed many of the best articles. At a later period he was elected a member of the Royal Institute of France, as well as of the Imperial Academy of St. Petersburg, and of the Royal Society of Gottengen. In 1794 Major Rennell published a pamphlet entitled War with France the only Security of Britain . He also gave important assistance to Mungo Park in preparing his travels in Africa for publication. In 1800, appeared his principal work The Geographical System of Herodotus Explained and in 1814, he produced his Observations on the Topography of the Plain of Troy . Major Rennell died 29 March 1830, through the accidental fracture of his thigh, and was buried in Westminster Abbey. The Royal Geographical Society, London, holds a copy of the Chudleigh map surveyed and drawn by James Rennell in 1753/6. TITLE: A Plan of the Town of Chudleigh in Devonshire with dedication; "To the Right Honourable Hugh Lord Clifford Baron of Chudleigh this plan is humbly dedicated by his Lordships obedient humble Servt J Rennel". This Plan appears to have been the first effort and was the means of his attracting the particular notice of the Revd G Burrington the then Vicar of Chudleigh. Erected by William Francis Splatt, to the memory of his mother Elizabeth Splatt, who was born A. D. 1784, and died A. D. 1850, aged 66. For many years she resided at Northwood in this parish. Blessed with a gentle disposition, she was deservedly beloved by all who knew her, and most tenderly endeared to her ten children, six of whom survive to lament their irreparable loss:-the other four, namely, Mary Ann, aged 37 years. Elizabeth, aged 31 years. Susan, aged 27 years, and Anna Maria, aged 22 years, in the prime of life, perished with their mother, by the awful shipwreck of the "Orion" steamship on a voyage from Liverpool to Glasgow 18th June, 1850. In Kenton Churchyard there is a gravestone close to the main entrance to the church which marks the resting place of John Splatt, who survived the sinking of the Orion. He was the father of William Francis Splatt, who placed the Chudleigh memorial, and husband to Elizabeth who perished in the sinking. John Splatt was a yeoman farmer, born in Kenton in 1780. It was whilst farming at Powderham that he met and married his first wife, Fanny Stokes (born 1780) at Kenton Parish Church on 28 February 1805. Their first born was a daughter, Fanny (born 1806). Unfortunately John's wife died a year later and as a new start John moved to Chudleigh with his infant daughter and took on the freehold of Northwood Farm. It was here in Chudleigh that he met a young widow, Elizabeth Yeo (nee Laskey) whom he married at the parish church in 1810. Their marriage went on to produce no less than six offspring in Chudleigh, the eldest being William Francis Splatt who was born on 14 April 1811 and baptised at the parish church the following 6 June. Four years later the family moved from Chudleigh. Initially settling at Kenn and then to Willsworthy Farm in Kenton. It was here that a further four children were born. The 1838 Tithe Apportionment for Chudleigh however still shows John Splatt as owner/occupier of Northwood, comprising 73 acres 3 roods 9 poles. The 1841 census for Northwood confirms John Splatt (60) in residence, with him his wife Bettey (55), sons Frank (25), Edmund (20), a solicitors clerk and daughters, Susanna (15) and Anna (13). Of these Bettey, Susanna and Anna were to perish in 1850 in the aforementioned shipwreck. In July 1840 aboard the ship Theresa, their eldest son William Francis Splatt, of whom more in a moment, emigrated to Australia with his wife and two of his brothers and settled in Melbourne, where they became successful merchants and sheep farmers. In May the following year, aboard the ship Moffatt, William's elder half-sister, Fanny and her husband Thomas Dolling (1810–1898), whom she had married at Chudleigh in 1835 also emigrated to Australia with their three children, Thomas, Francis and Fanny Louisa. Thomas & Fanny had another two daughters, Sarah and Anna who were born in Australia. Over time William encouraged his parents and four unmarried sisters to join him for a new life in Australia. Fanny and her husband lived out their lives in Australia and were farmers, living mostly in Merri Creek, Pentridge (later known as Coburg), Victoria. Fanny died in Castlemaine, Victoria, Australia in 1895 at the age of 89. In June 1850, with their passage to Australia booked to depart from Glasgow all that remained for John Splatt, his wife and four daughters was the journey to Scotland from Devon. The first part of their journey to Liverpool went without a hitch but the second leg was to be aboard the ill-fated steam vessel Orion. En route to Glasgow the vessel was attempting to make its scheduled stop at Portpatrick in Dumfrieshire when it ran aground on rocks close to the harbour entrance and quickly broke up leading to the loss of 130 lives. Of the six people in John's party only he was saved. He returned to Devon and settled at Melbourne House, Heavitree, Exeter, no doubt so called after his intended destination. He died in 1859 and is buried in Kenton churchyard, just to the left of the church porch. His gravestone records the loss of his wife and four daughters in 1850 and a son who died in Canada in 1859. Immediately alongside is the gravestone of his parents, William and Ann Splatt, both of whom had lived and died in Kenton. William Francis Splatt likely received his early schooling at Chudleigh and thence to Kentisbeare School, an establishment highly thought of in those days. He returned to Chudleigh and worked as a solicitor's clerk for Charles Langley. He subsequently moved to Keynsham near Bristol where he followed mercantile pursuits. It was here in 1840 that he married Elizabeth Satterley Pinsent. It is likely they had made their first acquaintance in Devon as she was originally of Moretonhampstead, a moorland town not many miles from Chudleigh. She was the daughter of a London merchant, Joseph Pinsent whose home was in the hamlet of Lettaford in the parish of North Bovey. From Bristol William and Elizabeth moved to Australia, where in 1851 he became a member of the first Legislative Council of Victoria, a position he held until he left with his wife for England four years later. His wife's brother Joseph Burton Pinsent who had accompanied them to Australia with his family remained there for the rest of his life. Returning to Devon, William and Elizabeth settled initially at Combe House, Gittisham near Honiton (an Elizabethan house that is now a country hotel) and after a subsequent short period in Brighton (in the early 1860s) he bought a villa called Abbotsford on Warberry Hill in Torquay. In 1864 he qualified as a Justice of the Peace and the opportunity arose to purchase the substantial Flete estate in the South Hams not far from Modbury, where he and Elizabeth remained for twelve years. During that time he was instrumental in establishing a school in nearby Holbeton village. He sold the estate in the early 1870s for £170,000. Returning to Torquay in 1876 he purchased a property named The Elms in Barton Road, Torre where he lived with his wife Elizabeth who died there on January 5th 1878, aged 72 years. Within a year he had remarried to Mary Gertrude Nantes, some forty-three years his junior, at Frome Vauchurch, near Dorchester in Dorset. She was the daughter of William Hamilton Nantes (curate) and niece of Daniel Nantes, Vicar of Powderham 1825–1877. He served on Torquay Council and was elected the first mayor of the town on 9 November 1892, in the 81st year of his age. Despite his advanced years he remained very active in the local community so much so that his death in October 1893 came as a great shock to his colleagues, friends and townspeople of Torquay. Robert ('Roy') Elliot Urquhart was born on 28 November 1901 at Shepperton on Thames and died 13 December 1988 in Port of Mentieth near Stirling, Scotland. Roy Urquhart was the British commander at the heroic but ill-fated Battle of Arnhem who tried to capture a bridge over the Rhine River. In the period 1942–1946 Roy's wife Pamela lived at Hurst View, Chudleigh. It was here that two of their daughters were born Judy (1942) and Susan (1944).